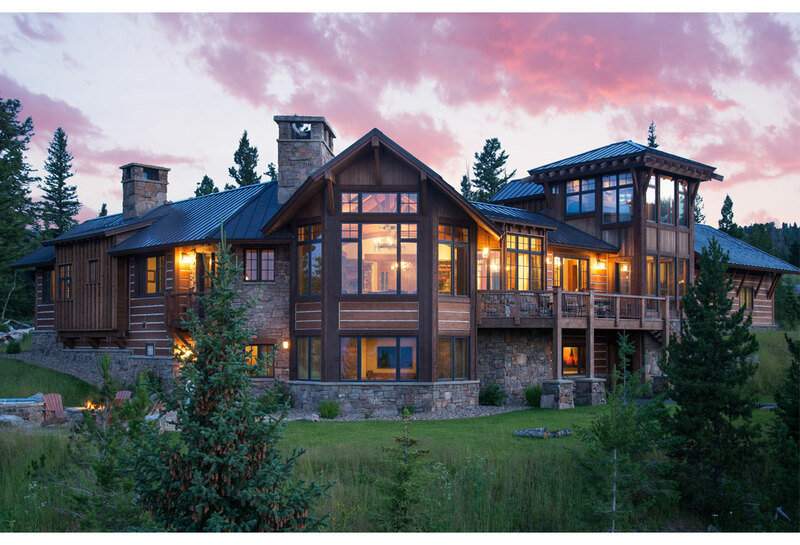 This rustic mountain home is located with in the Big EZ of Big Sky, Montana. Set high up in the mountains, the views from the home are breath taking. Large glazing throughout the home captures these views no matter what room you are in. The heavy timbers, stone accents, and natural building materials give the home a rustic feel, which pairs nicely with the rugged, remote location of the home. We balanced this out with high ceilings, lots of natural lighting, and an open floor plan to give the interior spaces a lighter feel.